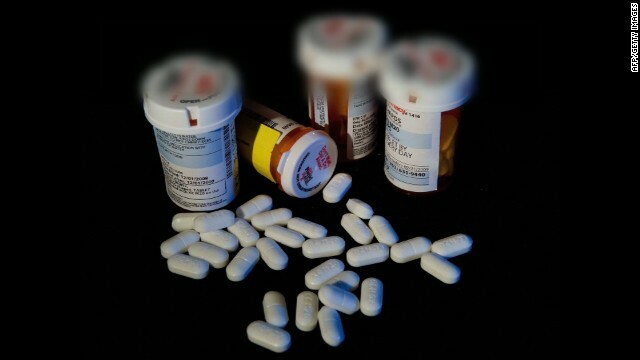 The agency did a survey and found that about 1 in 4 consumers bought prescription drugs online. Nearly 30% said they were not confident about buying drugs safely on the Internet. In July, the National Association of Boards of Pharmacy analyzed more than 10,000 websites and found 97% were not in compliance with U.S. pharmacy laws and were listed as "Not Recommended." –are licensed by the patient's state board of pharmacy. « Previous entryWant kids to eat veggies? Try a good marketing plan! And require that the prescription be sold at an outrageous premium. No wonder more and more people are going to Canada to get their prescriptions. Funny how we go to Canada for drugs and they come to the US for practically everything else. Canada is freakin expensive. You are on the spot with thus. This CNN articial must have been written by an American Pharmacist or their lobbiest. Awww, are people finding a way around the government's control of prescription drugs? Got to make sure doctors still get their money for visits just to get prescriptions they know they need. What, so we should just allow people to get one Rx refillable for life, never go back to the doctor? There's some good thinking. The problem is that many of these sites aren't actually selling prescription drugs, just counterfeits that sometimes contain harmful stuff like anti-freeze. I know regulations can be pesky sometimes but it is nice to get what you actually pay for. Provide specifics or you are just BS too. I partially agree with you on the point that you can obtain the same prescription medications from international online pharmacies for a fraction of the price. However, there is a gamble that you have to consider. Is that a "real" pharmacy? Will your medications get through customs? It is a hit and miss chance. You have been fortunate but others have not been as lucky. The U.S. system is not perfect and it is very expensive and burdensome but "some" of these online pharmacies are much worse. i agree. the govt just wants us to fatten the pockets of pharmacuetical companies in the US. getting drugs from canada and mexico is less expensive and are basically the same company! likmileftonescammers: A BS'er I am not. Differin Gel for acne by Galderma: $250 w/ my crappy insurance plan at WALMART. FIVE DOLLARS at a pharm I'll call "ADC" . Look it all up for yourself. NikofTime, I must have been one of the lucky ones, as I have ordered from Mexican, Indian and New Zealand based pharmacies without any issues. My parcels xleared customs with no problem, but after reading this article, I'm stocking up big time! How do you know that they are pure? Did you analyze them yourself? If so how? the pharmacist tools of the pharmaceutical industry preemptively telling you to buy drugs "only in US". yea, so they cant gouge you with 1000% markups. everyone knows these guys are crooks in suits. *everyone* needs to know how easy it is to buy drugs in Mexico and Canada. SUPER EASY. you get the SAME product in the same packaging with fresh expiration dates for about *10 cents on the dollar*. noone in their right mind esp those on a fixed budget should buy here again for the majority of drugs esp uncommon ones. you can actually fly to whereever, go across the border and get what you need and fly home w/a years supply of perfectly good prescriptions and still come out money ahead. *another* example of how the W admin $creweD us in 2004 by preventing any company from buying perfectly good scrips outside the US for bargain basement prices. anyone who tells you different is lyin thru their teeth and a tool of big pharma. when you realize your health insurance costs could go down 10% if you simply were allowed to buy from say, Canadian pharmacies, it shoukld begin to hit home how the schtuping you 24/7/365. the ONLY defense for ":US" ie "overpriced" drugs is this; if you buy from a foreign pharmacy and have a bad reaction to a drug b/c its somehow adulterated, you should be prevented from suing the mfr simply b/c you bought it outside the US. Crestor in the u.s. $900 at target pharm. Crestor in canada? $129.00.. same potency, same count! "Nearly 30% said they were not confident about buying drugs safely on the Internet." 30% SAID they weren't confident, so the FDA issues a warning. Note the lack of URL's to avoid, and hard facts about the products they sell. Don't fall for the FDA scare stories – many of the drugs from US companies are manufactured offshore, then imported into the US, just like the online pharmacies. I have been using an offshore online pharmacy for 4 years and no problems with either service or the drugs so far. My drug is made by Cipla – a very large generic drug maker in India. This is a truly double-edged sword. On the one hand, many of the other commenters totally nailed it. Big Pharma is only a step below the Military/Industrial Complex, and Big Oil, in its utter monopoly and control within the States. And if you find a reputable online pharmacy that is selling -actual- prescriptions you CAN save a bundle by getting out from under the insane markup and cost of prescriptions in this tightly controlled industry. HOWEVER, as others have said you are gambling potentially with your life and health because there are many unscrupulous sites that may just sell you a sugar pill, and some that may sell you far more dangerous substances like drywall that you are ingesting. This is a situation of buyer beware for certain. I buy several medications from an online pharmacy out of Canada and I know that they sell legitimate product. How do I know this? One of the medications I buy is Plavix. It's for my heart. My doctor told me to never stop taking Plavix because if I did one or more of the four stents that I have in my heart would most likely collapse. A thirty day supply of Plavix in the United States cost a little over $300 and there is no generic. I can buy 100 pills, generic, at a cost of about $72. I have been taking these pills for three years and I'm still here. Actually, there is now a generic for Plavix called Clopidogrel. Just recently became available, and has saved me boatloads of money. I absolutely have to have this drug also to help prevent blood clots. Make sure you are dealing with a real Canadian pharmacy. I live in Canada and at least once a week get spam from someone claiming to be a Canadian Pharmacy but their e-mail address traces back to Florida. As a small independent pharmacy owner, I can tell you that there are two reasons why drug costs are so high. First, drug companies have to recoup the cost of R&D. Second and most offensive are the Pharmacy Benefit Managers that provide the prescription drug coverage for many health plans. These companies make BILLIONS of dollars of profit providing this "service". Imagine how much your costs could go down if you were to eliminate the BILLIONS in profit plus the overhead costs associated with these companies. We strive to provide our patients with call-you-by-name service and are there to be a partner with them in their healthcare. Do those of you that buy online (or even mail-order for that matter) call the internet or mail-order pharmacist when you have drug questions? Do you feel like they have any interest in how you actually feel? I have much respect to the local community pharmacies especially the non-chain operations but before you condemn PBMs. Whom at your establishment will handle all of the claims that need to get processed? Who will handle all of the many formularies that each of your customers have? I guess the pharmacy technician will do all of these functions without going through a PBM or using a switch company. I'm sure there is a lot of blame to go around for high priced medications but the amount a PBM will get to process your claims is not the problem. The old saw about the R&D costs is completely false. Much of the development of new medicines comes from taxpayer supported funds...also, virtually no prescription medicines are mfg. in the US, Much of the extended patent protection comes from Designer pills...and,if Pharma can't make money outside the US because of negotiated prices, lower prices (as much as 60 percent lower than the US), why does it continue to sell in such unprofitable markets? Visit my at http://rxforamericanhealth.blogspot.com. The PBM's are indeed a big part of the cost of medications. Formularies have no health benefit for the patient and are only a vehicle for these companies to negotiate kickbacks with the manufactures. We have PBM's that provide lower copayments for brand name medications versus generic, even though the overall cost of the generic is much cheaper. Switching and other functions of the claim process are handled by other companies outside of the PBM. I live in a small town in Tx and try to give as much of my business as possible to a one-on-one service type pharmacy; unfortunately, our "illustrious" governor (rick perry) chose to refuse the funds expanded Medicaid (a.k.a "ObamaCare") would have offered. This means that the HMO that took over administration of Med. funds is able to say "no" to a physician when a prescription does not meet their criteria (too expensive, even if it is the more effective choice). The pharmacist is powerless, the MD is powerless, and the patient is powerless (and sick/ill); the HMO gains power (gets richer). Its not right that big business (HMO/pharmaceutical companies) make money by refusing services (meds) to the ill & disabled, and it is also unfair/evil that the R/D departments of pharmaceutical companies can charge exploitative amounts of money for most drug products when the R/D was done HERE, in the USA. Why should drug companies be allowed to get away with this crap ? Would you please learn your acronyms before posting? Thanks for miseducating the public! wow is always Obama's fault with you? Yes.. because the high prices all started after they passed the Affordable Health care act..
Is this news? I've known this for years. Four years ago I decided to save big bucks on some popular pharmaceutical (that had no generic equivalent) by buing online from what I thought was a Canadian pharmacy. I got the pills but they were were in a box with Chinese writing. I could see that the pills were a little different shape from the real pills I had purchased earlier. So I took pictures and logged a dispute with my credit card company (Amex) and got my money back. It turns out China is the world leader in counterfeit drugs but there are other countries involved. Don't order these drugs online. I get more phony drug offers from Russia than anywhere else in the world. I have health problems that require medications. I would never buy drugs on line! I value my life more than saving a few bucks and take a chance! Irony here is most pharmaceuticals (80%) sold in the US are legally (FDA approved) manufactured outside the country mostly in SE Asia. some peoples comments here sound crazy they say they purchased a generic version of their medication offshore at a cheaper price and because it was in a packet from china and did not look the same it was fake, if it was a fake product you would think it would look the same. The reason many of these generic medications are made in china and india is because the gov. does not care about patents on pharmacy meds so companies just copy the drugs and make it it does not mean its a fake at all. For the guy that made a charge back on the credit card and got their money back it sound like you scammed the company did you send the meds back to the company ? I bet you just kept the meds and got the money back so the only real looser was the company that sold you pills that did not look the same as the american branded medication. I travel around the world I can tell you even if you purchase the same branded medication you can buy in the usa from say Greece it does not look the same. Just like purchasing anything. You pays yo money, you take yo chances? Actually, there's a company in the U.S. which collects expired U.S. medications and repackages them for Mexico. And the media just doesn't promote stories of fraudulent drugs, there's the real crook (not the FDA, government, etc.). But hey, self-medication is probably the #1 thing in the U.S., look at our illegal drug problem!!! Of course we do nothing to curb the astronomical death toll caused by medical mistakes (missed diagnoses, improper drug choice or dosage, incompetent medical staff, equipment failure, etc.) in American hospitals and clinics, estimated at well over 100,000 per year. You must have forgotten. It was President Obama, the guy YOU voted for, who cut a back door deal with the drug companies to maintain their prices in exchange for their support of the Patient Protection and Affordable Care Act (which people are and will discover is neither protective nor affordable). Uhhh....you made a HUGE assumption there buddy considering I did NOT vote for Obama. Way to knee jerk. Life ain't black and white and democrat and republican, there are, in fact, different choices and options; sadly 90% of Americans don't seem to get this so we stay in the two-party mess we're in. I always though that online phrmacies were just sleazy operations selling viagra and pain medications that are made in a bathtub in Cambodia or just fake. This stinks of pharmacutical lobbyists. Sometimes those of us on the lower end of the financial scales just can't afford to get prescriptions in the U.S., or we can afford the drugs, but we can't afford the doctor visit to get the prescription written. Yes, there are risks of getting the wrong thing. These risks can be mitigated drastically by using an online pill identifier prior to taking the meds. Is it 100%? No, but a solid majority of fake medications manufacturers out there tend not to make exact duplicates to include imprint numbers, color, shape and texture. I use http://www.drugs.com/pill_identification.html and haven't been burned yet. Well, it's hard to listen to the FDA when they approve bad drugs, make drug companies take forever to get approval, and have really pathetic standards for generics. Given their finite resources, why doesn't the FDA stick to doing their job at hand. There are too many dangerous pharmaceuticals being marketed in the USA for the FDA to be worried about peripheral problems. I wonder if they are also going to tell Americans living and traveling abroad that they must have the doctors in that country send their perscriptions back to the US before they can be filled? Because if they don't, then that must mean that the prescriptions in that country are not really unsafe or there would be warning to all Americans everywhere not to "EVER" use any phamaceutial product not made in the USA..
Who can trust the FDA they approve drugs that kill like Vioxx and even after they know it kills they still let drugs makes sell it to make a profit, the FDA is trying to stop companies selling natural supplements that have proven to help with health and have no or little chance of making anyone sick, its crazy the FDA says if you make drug like claims for a natural product like saying fish oil may help with heart health they they will fine you. I travel for a living and I need to purchase medication from many offshore or mexican style pharmacies as I just cant get access to meds I need I think the FDA should keep their nose out of the business of other countries as they don't control the world and they should stop putting the wind up people who want to purchase there meds offshore at a cheaper price and stop looking after their pharmacy making mates that keep them in business. The world is a crazy place too much regulation that does not really help protect people from large drug companies that are just trying to make a buck, makes me sad. If your in the UK make sure that the online pharmacy is registered and are display their registration number like http://www.clockworkpharmacy.com/ This is maybe some that should be consider in the US by the FSA. I'm hearing a lot of mixed complaints about Rx manufacturers and also we need to look at the blatant greed of the pharmacys too. In the last month my pharmacy tripled the cost of 2 generic drugs. These were drugs on the market for more than 10 years. No warning to consumers, you just get to the register and are told a total with an added 50-60$, you ask why and they look at you and say well they raised these prices. You more or less are screwed because your getting a refill, are out and have to have these pills. So its the greed of a pharmacy. If i could find an online pharmacy in Canada I would use them. Funny how they are so gung-ho about regulating drugs but absolutely refuse to do anything about illegal drugs. Yeah, who cares if someone gets rat poison in their heroin, cocaine, or marijuana? The prcks. FDA’s consumer information would be much more helpful in alerting consumers to the threats of dangerous online pharmacies if it were fully accurate. Sadly, some of its assertions contradict the facts about non-U.S. online pharmacies that sell the same prescription drugs to Americans sold here at a fraction of the cost. The big winners from FDA’s campaign are the pharmaceutical and U.S. pharmacy industries who don’t want to lose profits and consumers to lower priced pharmacies in other countries. The big losers of FDA’s online pharmacy campaign are American consumers and taxpayers. American consumers lose by having to pay much higher prices in U.S. pharmacies, or, tragically, by not taking their medication at all. In 2010, 48 million Americans did not fill a prescription due to high drug prices, according the Commonwealth Fund. This is a national health crisis. The taxpayers lose because when people end up getting sick by not taking needed medication they are more likely to end up in the ER, medical costs paid for by our dwindling national coffers (you and me). Empirical studies (see National Bureau of Economic Research: http://www.nber.org/papers/w17955.pdf) and over a decade of experience show the high degree of safety Americans can find in personally imported medication from online pharmacies which have been properly credentialed by PharmacyChecker.com, These online pharmacies require valid prescriptions, are dispensed by licensed pharmacists working in licensed pharmacies, and are mailed safely to the patient, all of which are verifiable. Remember, our Secretary of the Health and Human Services Department (in which the FDA is housed) – Kathleen Sebelius – operated her own drug importation program as Governor of Kansas. During her tenure, consumers could order prescription medication from pharmacies in the Canada, Ireland, New Zealand, and the UK found through the State of Kansas website. If it was safe then it is safe now. It appears that only the political calculation has changed in perverse deference to the big pharmaceutical companies. Great advice . thanks for sharing with us . All the tin foil hats in this column's comment section are on a little too tightly. I have been exploring for a little bit for any high-quality articles or blog posts in this kind of house . Exploring in Yahoo I ultimately stumbled upon this website. Studying this information So i'm happy to exhibit that I have a very just right uncanny feeling I came upon exactly what I needed. I most certainly will make sure to don?t forget this website and give it a look regularly. There are some good online pharmacies but bestdrugzcorner.com will take your money and not deliver, I placed an order five months ago and only got a few emails saying: “Any time now”. Be carful out there. Such kind of campaign is must, to bring awareness to the people about the fake internet pharmacies. It is really hard to find out which site is fake which one is original. Anyways thanks to the FDA.